Rørvig is a popular summer town on Western Sealand only a few kilometres from Nykøbing Sjælland with plenty of cottages. The centre of town is an old sea port, and you will find all levels of cottages in the area - fashionable as welll as more traditional cottages. At Rørvig harbour children engage in the big hunt for crabs, and all along the north coast to Isefjorden you will find cottages at fine sandy beaches. 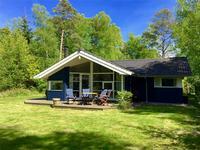 See the holiday homes in Rørvig on a map - click on the map!